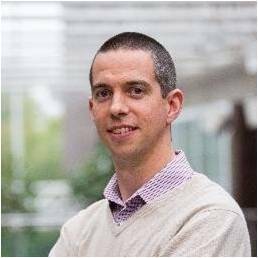 Niall’s expertise is in blended and online training programme development, learning platforms, and courseware development processes. Niall works with clients across the Public, Pharmaceutical, Food & Beverage sectors in the development of inhouse and online Lean Six Sigma programmes. Recent projects include eLearning and compliance strategies and systems for firms such as: ABP, Nestlé’s Wyeth Nutrition, Dortek, Virgin Media, UL and others. The General Data Protection Regulation (GDPR) will significantly change the data protection landscape and affect almost all countries in the world.Under GDPR, all companies that collects, stores or transmits employee-related data must do so with enhanced security measures and awareness of the new enhanced rights of individuals in respect of their personal data. Articles within the GDPR outline that staff “awareness raising” and “training” are required. TheGDPR Pass Programmeaddresses this need and is aimed at raising and demonstrating awareness of GDPR amongst all staffquickly and cost effectively on the background and responsibilities of GDPR, the requirements related to data privacy and governance, and the implications for day-to-day business activities. The GDPR Pass Programmeis non-sector-specific and suitable for all staff and skill levels. SustainabiltyPassis fully endorsed by Bord Bia’s Origin Green Programme and offers many benefits to organisations andtheir stakeholders (e.g. staff, contractors, customers, suppliers and the widercommunity). The SustainabilityPass programme is designed to support enterprises’ sustainability journey by developing greater staff awareness and understanding of sustainability including core topics of: energy, water, waste, biodiversity and social responsibility; and by helping to embed sustainability practices, skills and behaviours, thus contributing to long-term value creation and a culture of greater sustainability within the enterprise.